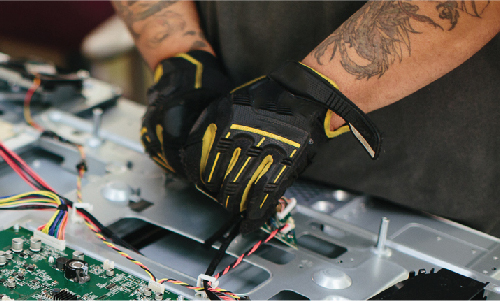 Impact Recyclers™ is a group of social enterprise, certified electronics recyclers with the shared mission of employing people facing significant barriers to work. Our member organizations offer data destruction, IT asset management, electronics refurbishment and remarketing, and e-waste recycling solutions. All members are licensed, insured, and R2® or e-Stewards® certified.